Choosing souvenir is one of the most enjoyable aspects of a trip, and something you never forget. Be sure to take home the “tastes unique to Kamakura”. 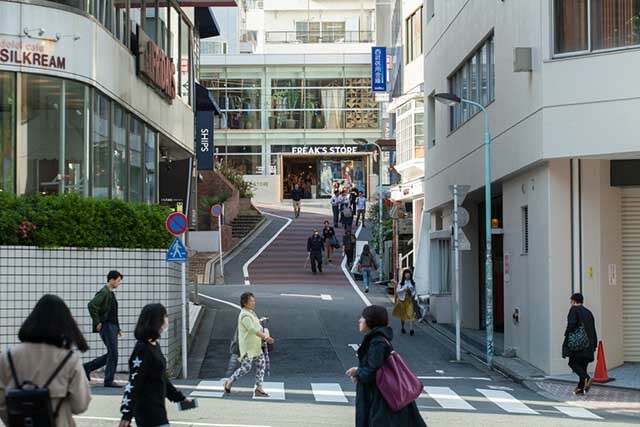 Kamakura’s Komachi-dori Street is lined with lots of nice, reasonably-priced souvenir shops. 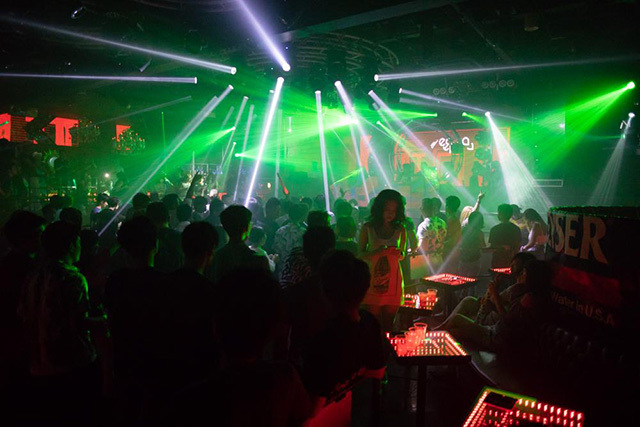 Here are some tips which should add extra fun and enjoyment to your stroll through the town. 3. More than just Sable! Rakugan “Kobato Mameraku” of Toshimaya has another signature sweet that many people are unaware of! 5. Popular with consumers of all ages, Kamakura Goro’s signature sweets, Hangetsu, are ideally suited for eating as an accompaniment to Japanese green tea! Handmade candy shop Kamakura Amegen, which has become very popular recently, is highly recommended for your reasonably-priced souvenir shopping. Black-colored, amber-colored, and multi-colored candies are sold at \165 for a five-piece package. Really nice! The Number One choice is Kamakura Meguri Hassen (the Best 8 Kamakura-tour Selection). With an assortment of candies modeled on famous Kamakura artifacts or scenic spots such as the Great Buddha, Enoshima, and Benzaiten, you are tempted to buy all of them. 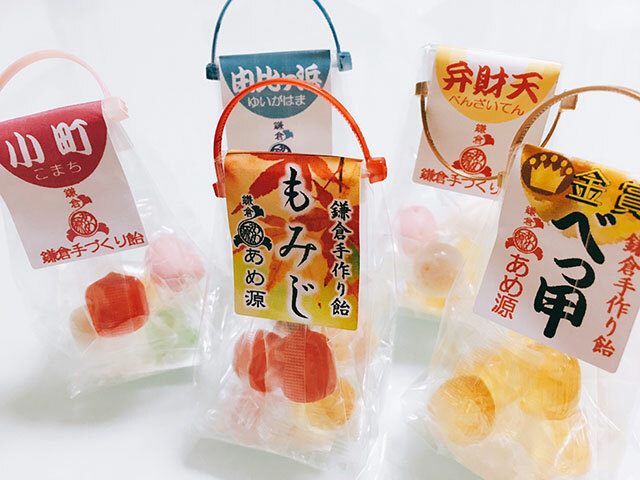 Eating these candies is sure to remind you of your visit to Kamakura! Kamakura Mameya is a shop specializing in Japanese bean confectionery. It offers a wide variety of bean confectionery products made with peanuts, soybeans, or broad beans … including many unique types such as curry-flavored and mayonnaise-flavored confectionery. Don’t know which ones to choose? That’s no problem; you can try almost all of the different types of the bean confectionery, until you find your favorites. Kobato Mameraku (432yen for a three-piece package)! It is the dove-shaped Japanese dry confection called rakugan made using bean powder. When you put the chubby dove-shaped sweets into your mouth, the delicate sweetness of beans fills your mouth. Why not try a new type of Japanese confectionery for a change? One of the most outstanding Kamakura sweets is Kamakura Itoko’s Kabocha (pumpkin-flavored) Kintsuba (1,230yen for a six-piece package), which is rich in pumpkin flavor. Pumpkin paste made by simmering and carefully pureeing pumpkins is wrapped up in a glutinous thin skin made of wheat-flour dough. You can enjoy kintsuba with a variety of textures, either eating a freshly-made one in the store, or buying some to take out and enjoy at home. The half-moon-shaped sweets Hangetsu (648yen for a six-piece package) are an iconic Kamakura souvenir. Combining a light and crispy outside while a crunchy texture, they have an amazing filling: a sweet and yummy cream, which is just incredible! The cute rabbit decoration represents a perfect blend of Japanese tradition and modern design. These sweets keep for a long time, and make a great snack to accompany a refreshing cup of tea.